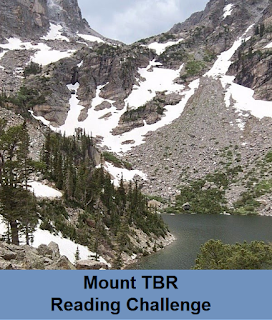 Today the topic of Top Ten Tuedays is Top 10 books read so far in 2015. 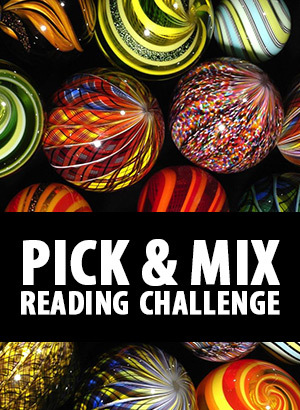 It was hard to choose the best books. Fortunately, I’ve read a lot of good books this year. I’m currently reading the second book in this duology. They’re wonderful fantasy, inspired by the tales told in the 1001 Nights and they have an unusual structure, tales within tales. Masterminds ends the eight book series Anniversary Day Saga. I’m a fan of Rusch and she delivers an excellent ending, this time too. In fact, I really enjoyed the books leading to this tone, too. Robin Hood is one of my favorite folkheroes and Pyle’s lighthearted retelling of the stories are very good. A haunting book where the protagonist is orphaned very young and has to endure a lot. Another very fun book. A stand-alone alternate history steampunk clearly inspired by the Shakespeare play in the title. My first tie-in book this year! Duane’s Star Trek: the Next Generation book is a chilling (in a good way) journey to the Mirror universe where our familiar heroes aren’t. Pratchett’s three witches tackle fairy tales coming alive. Set in Las Vegas and it deals with characters who are archtypes from spy movies. A steampunk book where the main character is a linguist and it’s not centered on violence. 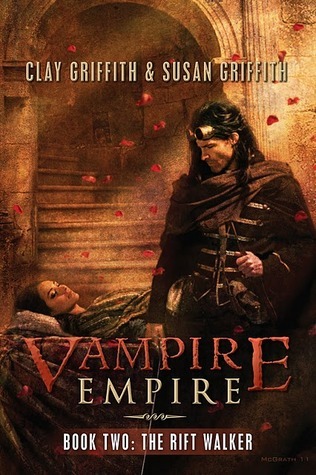 The second book in the Vampire Empire series was just as much fun as the first one. 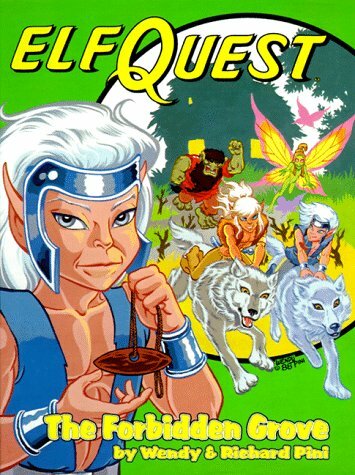 While the Excalibur reread was fun, I really enjoyed the Elfquest reread the best. 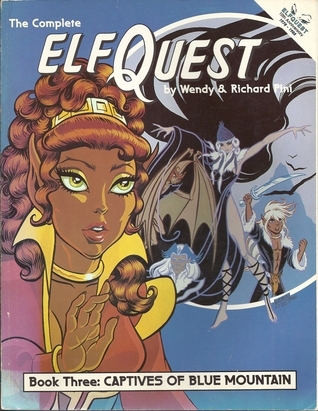 The second book in the Vampire Empire series. The book starts three months after the end of the previous book, Greyfriar. Prince Gareth of the British Vampire Empire has returned home and is dealing with politics. Unlike all other vampires, Gareth is on the side of the humans and wants to stop his brother from ruling the whole world. Prince Cesare is forming an alliance with other vampire monarchs in order to destroy the Equatorian human empire which holds lands in the warm south. Gareth doesn’t like this alliance but he can’t stop it from forming. Then he hears that his love Princess Adele is in danger and he hurries to her side. Princess Adele is the heir to the Equatorian Empire and the only hope of uniting her Empire with the American Republic. The American Senator Clark came to Alexandria to marry Adele and thus form a human alliance against the vampires. However, Adele has noticed that Clark is bloodthirsty bore; she doesn’t want to marry him, especially because her heart belongs to the Grayfriar. But she also knows her duty and has reluctantly agreed, even though she’s trying to postpone the wedding as long as she can. When she hears that Clark and her father the Emperor intend to start the war with a strike against the vampire’s food source, she tries to stop it. Killing thousands of humans just to deprive the vampires of food, is deeply wrong to her. But the men insist that it’s the logical way and too soon her wedding day arrives. But during the wedding, Greyfriar appears and kidnaps Adele. She’s happy to abandon her duty and escapes with him, leaving Clark roaring after them. Adele and Grayfriar travel to Egypt in order to escape the imperial pursuers and in hopes of finding allies. They are also seeking a way to defeat the vampires which doesn’t involve killing a lot of humans. 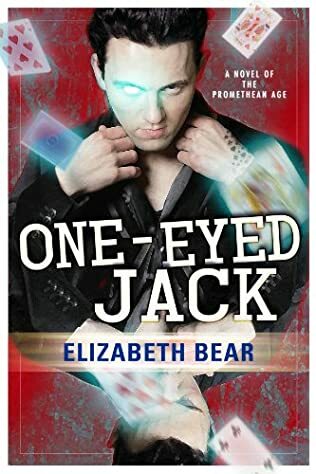 This was again a fun and quick read, at times almost a melodramatic swashbuckling adventure. Adele and the Grayfriar have now become the romantic couple at the heart of humanity’s survival. The book is fast-paced and has some very interesting twists which I didn’t see coming. However, the book has so flaws, too. I think that Grayfriar’s desire to protect humans is pretty strange. He isn’t human, after all. Also, both Adele and Grayfriar are characterized as good, or great, leaders and tacticians. Yet, when the tactics include each other, they fail. For example, at the start of the book, when he saves a whole town from slaughter at the hands of vampires, Grayfriar’s concerned that he doesn’t do enough for humans. Yet, when he hears that Adele is in danger, he drops everything to help her. He doesn’t give another thought to humans he’s supposed to be protecting. Adele’s powers are growing and she knows that she needs them in order to defend humans from vampires. Her Japanese teacher Mamuru teaches her to use her powers. Yet, when her growing powers start to cause Grayfriar pain, she just blithely decides not to train anymore which could mean that the next time she has to use her powers against the vampires, she could lose and every person dependent on her might die. The book also had lots of stuff I enjoyed. The people have decided that Adele and Grayfriar are a romantic couple and they write penny dreadfuls and plays about them. They’re hilarious! There were also some delightful twists I didn’t see coming and by the end, the status quo has been changed which I enjoyed a lot. Clark is also an enjoyable antagonist although I can’t help thinking that sacrificing a lot of people is the way that real wars are fought (and won?). Prince Cesare reveals another tactic against the humans which I also liked. Most of the secondary characters from the first book return and we’re also introduced to a bunch of new characters when Adele and Grayfriar travel to Africa. My favorite secondary characters are Mamuru and Colonel Anhalt who commands Adele’s personal guard. Both have strong convictions and aren’t afraid to stand behind them. The book doesn’t end in a cliffhanger but the great confrontation between the two empires is clearly coming. Bearclaw was a real character. He enjoyed tricking humans, drinking and gambling with the trolls, and hunting. He had a bad temper and he even struck his son Cutter once or twice. Cutter is a very supportive father. He lets his children be what they are without pressuring them. He’s fiercely protective of his family and tribe but he also knows when he has to let his daughter go and live her own life. Oberon from Roger Zelazny’s Amber series is very much a mysterious father. He vanished without naming an heir and left his children fighting over the throne of Amber. He has over twelve children, most of them half siblings so the fighting was fierce. Lord Allandale, the father of William Laurence, is perhaps the epitome of an overbearing father. Nothing Laurence did pleased him. The Earl didn’t approve when his son joined the Navy and he approved even less when Laurence got his dragon Temeraire and joined the Aerial Corps. Everyone in the steampunk Seattle thinks that Levitictus Blue was an evil genius who was responsible for the destruction of Seattle’s city center and inventing the blight gas that turn people into zombies. However, his son Zeke didn’t believe that and ran away to find any proof that he could to clear his father’s name in Boneshaker by Cherie Priest. Jesse Dawson is a modern day samurai who tries to save people’s souls from demons. He’s also a loving father and husband who always wants to return to his family in K. A. Stewart’s Devil in the Details. His daughter Annabelle is still very young. Magneto was the leader of the Brotherhood of Evil Mutants and his children were members. He’s manipulated his daughter Wanda a couple of times to join his Brotherhood even after she joined the Avengers. Speaking of intimidating fathers, Aral Vorkosigan is a very difficult act to follow. Even if his only son Miles didn’t have a lot of physical problems due to a soltoxin attack, Aral is still the greatest general in Barrayar, the Prime Minister who kept the county together until the young Emperor was old enough to ascend to the throne, and later the Viceroy of an entire planet. And an excellent father, to boot. Zeus fathered a lot of kids but was a very negligent father. In fact, gods in general aren’t terribly good parents. Pa Kent is one of the most decent humans around. After all, he raised Superman. Even though Superman was technically an orphan, he was raised by pretty great humans. Edited to add: Rick Castle. Another great dad.